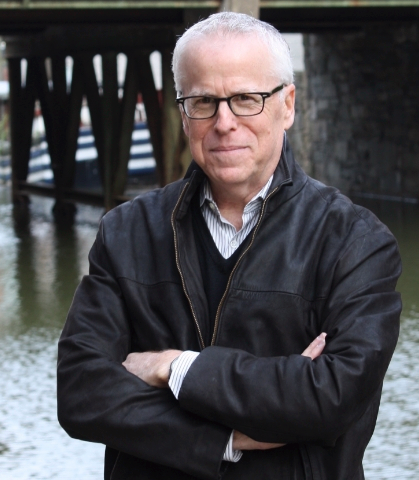 Tom Rosenstiel has been a keen observer of the inner workings of Washington, D.C. for three decades and is one of the most recognized thinkers on journalism and the intersection of media and politics in the world. Rosenstiel’s novel, SHINING CITY, is being published in February 2017 by Ecco Press, an imprint of Harper Collins. The author of seven books of non-fiction, he has written about politics, campaigns, Congress, culture, technology, journalism, media and ethics, and he has lectured and consulted on journalism extensively in the United States and overseas. His book THE ELEMENTS OF JOURNALISM, written with former New York Times bureau chief Bill Kovach, has been translated into 25 languages worldwide and has been hailed as “the most important book on the relationship of journalism and democracy published in the last fifty years” (Poynter), and one of the five "essential books" on journalism (Wall Street Journal). Rosenstiel is currently the executive director of the American Press Institute and a non-resident senior fellow at the Brookings Institution. Previously, Rosenstiel founded and for 16 years directed the Project for Excellence in Journalism and co-founder of the Pew Research Center. He was press critic at the Los Angeles Times for a decade, a Washington correspondent for The Times, a commentator on media for MSNBC, and chief congressional correspondent for Newsweek and a reporter for Jack Anderson's Washington Merry Go Round. He also worked at the Peninsula Times Tribune and the Country Almanac in his hometown in Woodside, California.